With the New Year there always comes an opportunity to change things, chance of new beginnings. To our family the start of the year has been really about new beginnings when our baby boy was born. And after that I have literally slowed down (that is why the favorite list of the months comes now in February). 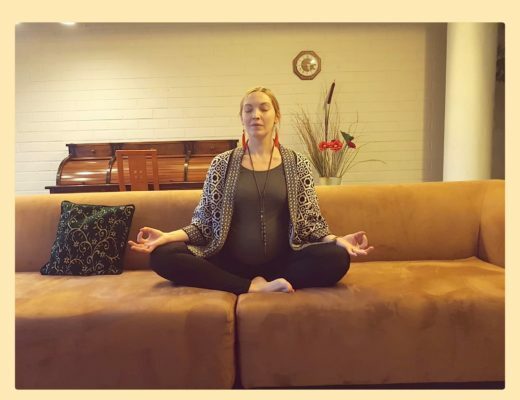 In these past weeks I have lived in a baby bubble. From our sixth floor apartment I have looked when it has been snowing, listened the silence during night times. The new everyday routine left me with the feeling that sometimes I don’t even know if it is day or night. Even when I have been feeling tired, I do have to share this: I am so happy about this baby boy, and that I am now a mother of two children. After giving birth my body is in a slow recovering process. This time I will give it its time to recover, and try not to rush to be a woman again. 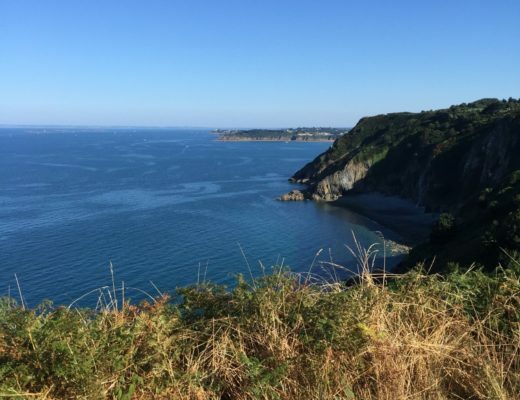 This beginning of the year is literally for me a slowly waking up process – that is why the theme of the month is slow waking; maybe you feel the same, too. Anyway, below you will find my good mood list of the month. Enjoy! 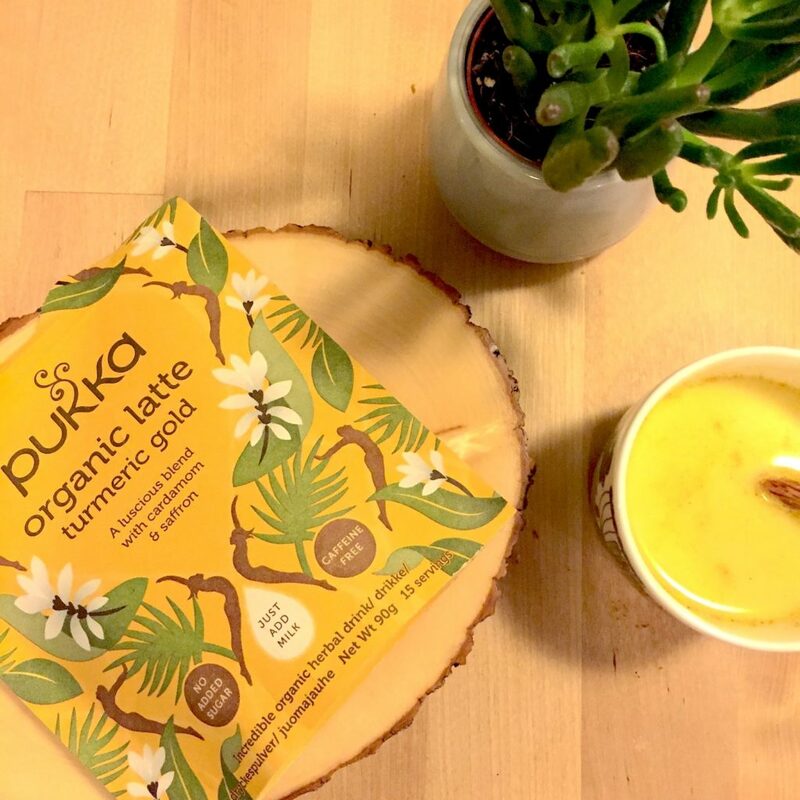 Drink of the month: Pukka’s Organic Latte Turmelic Gold. I have replaced my afternoon coffee with this smooth and warm drink. Book of the month: Late Bloomers by Eveliina Nieminen. This short novel collection is all about today’s overachieving people who try to be the best version of them self. These short stories dive deep into our western culture and in its sharp and sarcastic way. Also, there are beautiful illustrations in this book and you just want to stop reading for a while and have a pause. I even got inspiration to start drawing again. The song of the month: Choir Of Young Believers: Does It Look As If I Care. 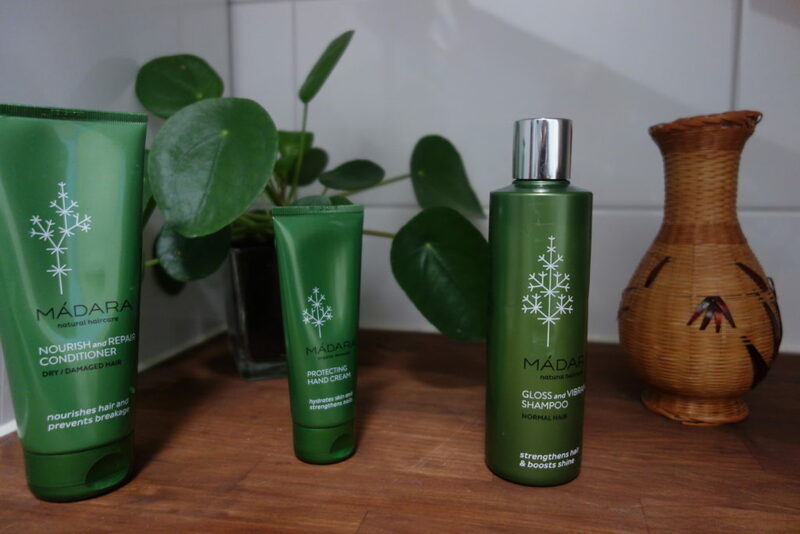 Natural cosmetics: Mádara’s Gloss and Vibration Shampoo and Nourish and Repair Conditioner. I have used these natural cosmetics products a couple of months, and I can assure that these hair products are the best for my thin and blondened hair. The shampoo is giving my hair extra volume and shine, and the conditioner is making sure that my hair is soft and more silkier. I have returned to my yoga mat with softness and in humility. Below you can find asanas, which I do every night. Did you know that forwarding bend has a calming effect to your mind? It draw us into the inner mysteries and dynamics of our lives. The energetic effects of forward bends are concentrated in the lower chakras, often revealing base emotions held deep in the body. When you hold this position at least five minutes, you have a time to explore your feelings. 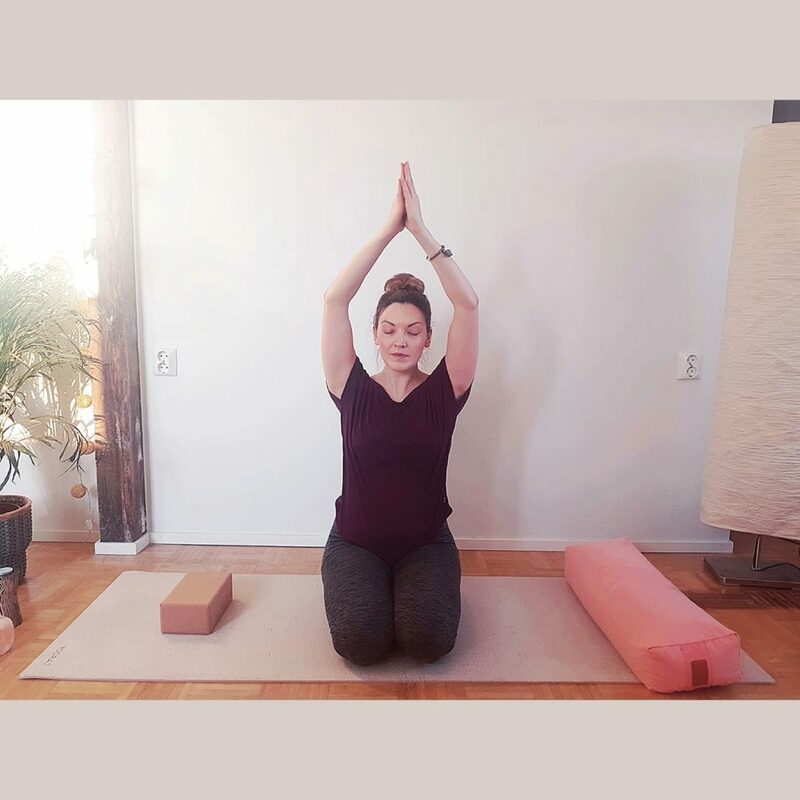 Sit tall in Dandasana. Check that your sitting bones are grounded. If needed add a towel on your sitting bones to help you bend forward. Bring the hands toward the feet as far as possible without bending the spine. Clasp there to leverage the activation of the legs, lengthening of the spine, and anterior rotation of the pelvis. Draw the torso forward over the legs. With each inhale, lengthen the spine, and with each exhale release the torso forward. Try not to get your head at first to your legs, instead of concentrate on drawing the heart center up and forward. Keep your legs active. Feel how the back of the body release, and how the posture stretch the muscles around the pelvis. 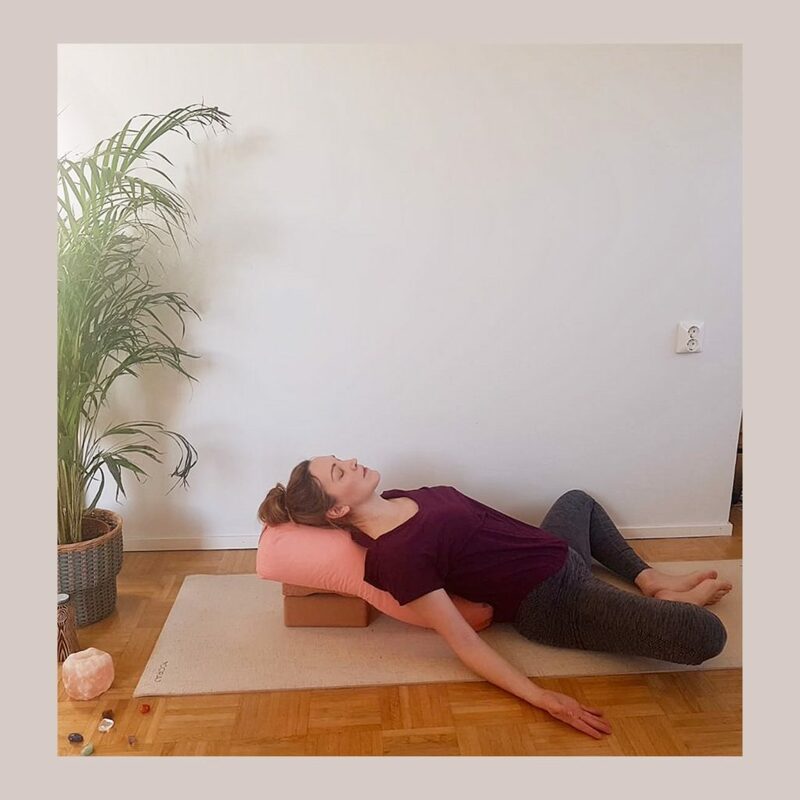 Add a couple of blocks and bolster on your mat as you see in the picture. If you don’t have these, you can always use a pile of pillows. Then lye down and let your upper body rest against the bolster. Relax your arms to the side. You can let your legs rest straight or bring the feet together. Enjoy and relax. This is a good position to do a little meditation. 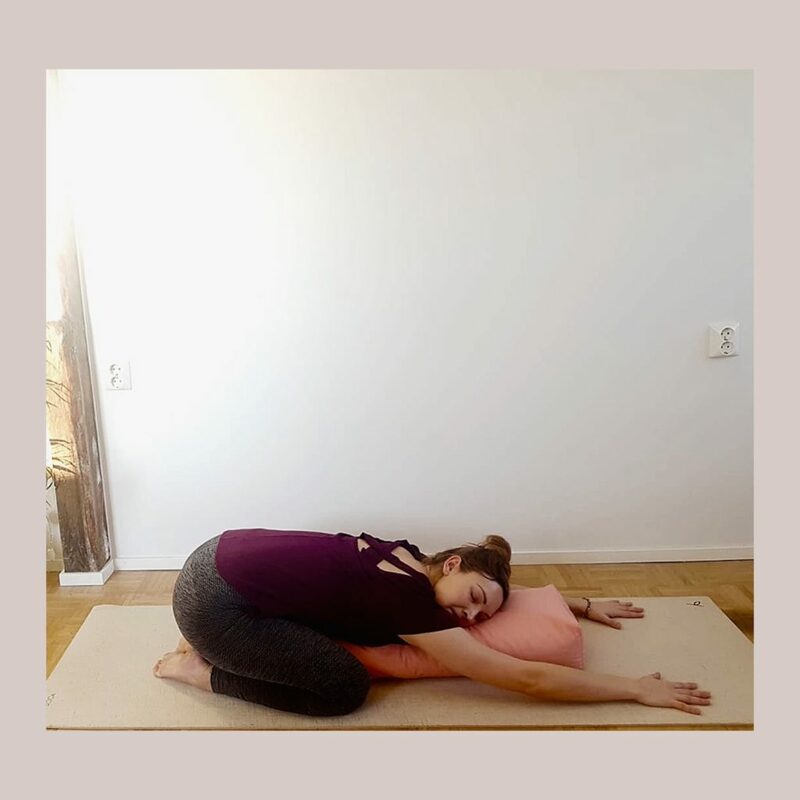 This is a nurturing pose; we are in this position during nine months of gestion and naturally return to this fetal position to nurture or protect ourselves. You can always do this asana without a bolster, but for me with this support balasana is just heaven. 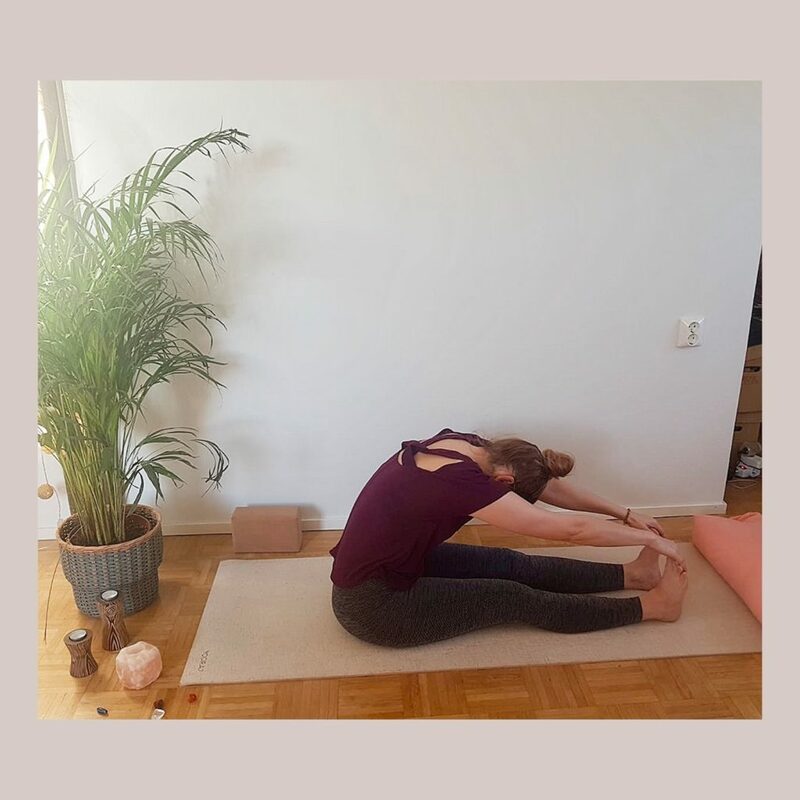 How to get in Balasana? Release the hips back towards and to the heels. Then lay down. Let your other cheek rest on a pillow or a bolster and release your arms straight ahead. Relax. After a couple of minutes change your head to other direction and let the other cheek rest on your bolster. Have a beautiful start of the month!